Featuring two complementary carbohydrates, Pre-Workout Energizer is balanced to provide both instant and slower-burning fuel for your workouts. Organic sprouted brown rice syrup has a high glycemic index (90), entering the bloodstream quickly, while organic palm nectar has a low glycemic index (35), providing slow, steady energy that will not spike or crash. 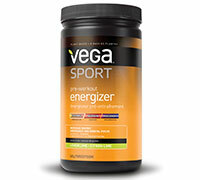 Take Vega Sport Pre-Workout Energizer 20 minutes before your workout to help you get in the zone with energy to burn! 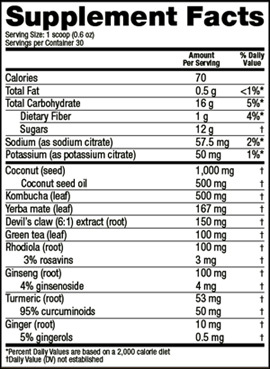 OTHER INGREDIENTS: Whole grain brown rice syrup, organic palm nectar, natural lemon and lime flavors, organic spinach leaf, citric acid, DL-malic acid, beta carotene.